ItemI-57448 - Head of Rocky Mountain Canyon, Peace River. 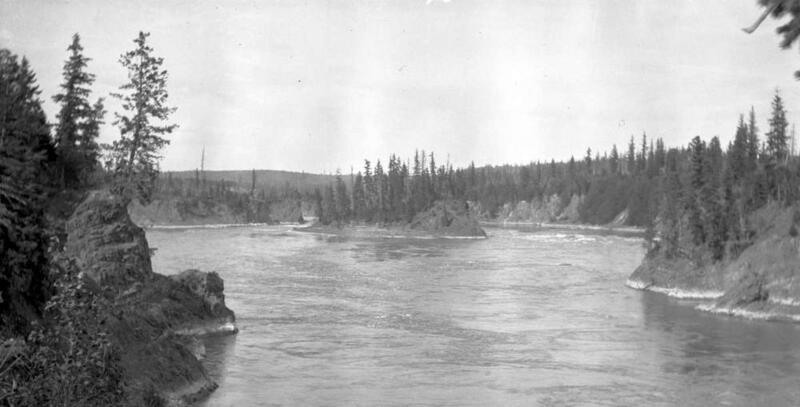 ItemI-57449 - Head of Rocky Mountain Canyon, Peace River. ItemI-57451 - Rocky Mountain Canyon, shelving rock and coal seam noted by Mackenzie in 1793. ItemI-57452 - Rocky Mountain Canyon, shelving rock and coal seam noted by Mackenzie in 1793. Item I-57426 - "Fort George Canyon".